Lesser known story of the warrior princess. Telly Queen Ekta Kapoor bringing love stories for her audience is the usual old wine, however with Chandra – Nandini, she is making her audience celebrate the lesser known story of the love which blossomed through hate between Chandragupta Maurya and the warrior princess Nandini. 2. She was the daughter of Dhana Nanda, the ruler of Patliputra. It is said that Chandragupta along with Chanakya destroyed Dhana Nanda’s kingdom. After the fall of her father’s empire, she was asked to marry him. The serial portrays her as warrior princess, who later becomes the victim of circumstances yet decides to fight back. 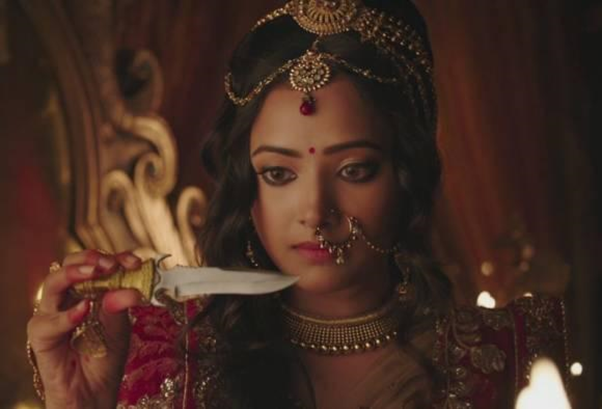 She marries Chandragupta with the intention of revenge, as a part of the war treaty. She ate the poisoned food meant for Chandragupta, although before her pulse could stop Acharya Chanakya saved the baby. She was the mother of Bindusara, who took to throne as the second emperor of the Maurya dynasty.